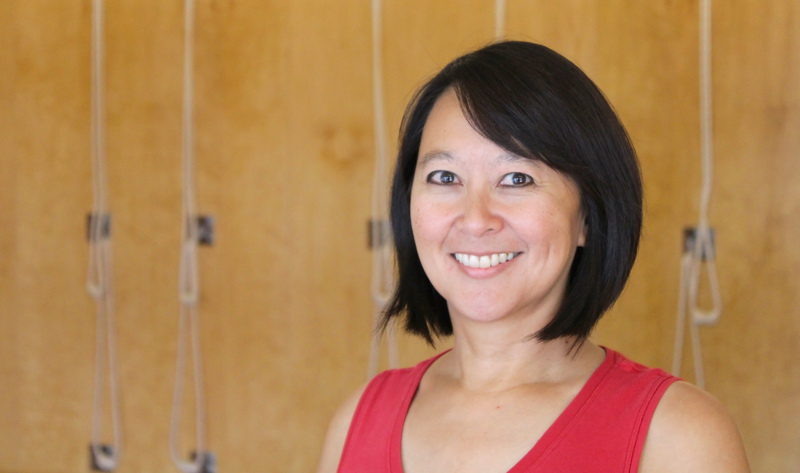 Audrey Tan, DPT, is co-director of Fig Garden Yoga Studio in Fresno, California. She is a certified Iyengar teacher and an E-RYT 500 with Yoga Alliance. Audrey graduated from the Advanced Studies/Teacher Training program at the Iyengar Yoga Institute of San Francisco in 2003, and apprenticed with Elise Miller, a certified senior Iyengar teacher and back-care specialist. In 2004, Audrey completed Yoga for Scoliosis teacher training with Elise and accepts private students interested in utilizing yoga to minimize the effects of their scoliosis, and teaches a monthly Yoga for Scoliosis class. Audrey is also a licensed physical therapist, specializing in Fascial Counterstrain – learn more at www.BodyEasePT.com . Audrey can be reached at naudreytan@gmail.com or 559-222-5100. ** Audrey is an Iyengar Certified Instructor who has done additional training with Elise to become a Yoga for Scoliosis certified instructor. She is highly qualified because of her Iyengar training and has a deep understanding of how to work with scoliosis.